Think you need to live in a big city to live in a row house? Nope! They’re all over the place. Large towns, small towns, suburbs… you name it! 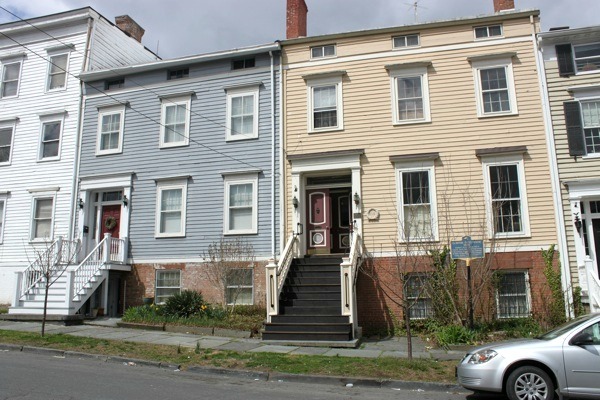 We recently were introduced to the town of Newburgh, NY, where they have some lovely row house. Cher Vick from Newburgh Restoration was nice enough to share the following post with us about some beautiful row homes in the town. On a small block on First Street in the City of Newburgh are a row of homes (112-120) that are kept in amazing condition known as Quality Row. They are really a showpiece for what other blocks in Newburgh have the potential to look like. Although the houses across the street don’t quite look like these, they are a breath of fresh air. These Federal style houses were designed in 1835 by Thornton Niven and built on land that had been the garden of Rev. John Brown. They are now national historic landmarks. 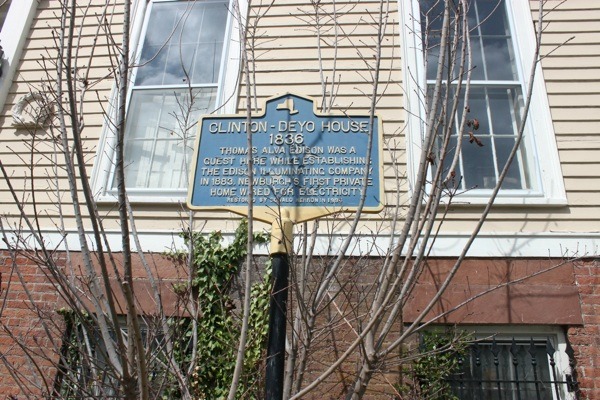 The house at 116 First Street is known as the Clinton-Deyo House. It has a plaque that says that in 1836 Thomas Edison stayed there as a guest while establishing the Edison Illuminating Company. In 1883 it was Newburgh’s first private home to be wired for electricity. It was also wonderfully restored by Don Herron back in 1994. He unfortunately passed away this year. So where did the name Quality Row come from anyway? According to the 1891 publication Newburgh: Her Institutions, Industries and Leading Citizens, “At the time of their erection these house were considered much above the average in cost and elegance, and for this reason, combined with the high social standing of the original occupants, the buildings were known throughout the village as “Quality Row,” a designation which still lingers among our old families.” That designation still lingers today, over 100 years later!